Create with Traci: A big sale... and some fun art! Ahh... the weekend at last! It was a busy week, and the weekend is just as crazy. Thought I'd pop on for two reasons...1) some fun art! How about this cute little card that is part of my Christmas card class coming up October 8th in Avoca, MI. If you are in the area- send me an e-mail and I will forward the full flyer to you. How about this fun 3-ring binder...only $2!! 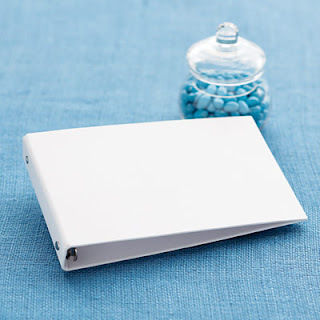 It is a great little item for mini recipe books, mini scrapbooks and more! 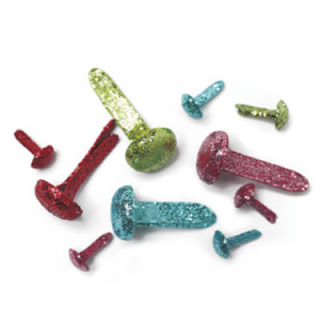 Or: What about these cute little Twinkle brads for only $1.00!!! what a great deal! To cash in on these specials... Visit my website by clicking here. *Shipping and tax are collected on free items. They are not added automatically so you can choose to receive them or not. I ordered lots of goodies from the clearance sale! I can't wait to get them!